Rutile-basic-coated austenitic stabilized steel electrode with approx. 8% ferrite. Coating with very low moisture pick up. Soft fusion, without spatters, very easy slag removal, exceptional weld bead appearance, easy re-striking. Electrode for joint welding on unstabilized and stabilized austenitic, chemical resistant CrNi-steels at working temperature upto 400°C, for corrosion resistant Cr-steels and alloyed similar claddings. 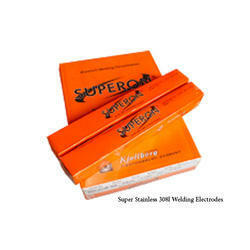 The best selling Stainless Steel electrode. Low carbon Rutile-basic-coated austenitic stainless steel electrode with approx. 8% ferrite. Coating with very low moisture pick up. Soft fusion, without spatters, very easy slag removal, exceptional weld bead appearance, easy re-striking. Applied for all 18/8 type stainless steel at service temperatures from -120°C up to +350°C : tubes tanks, heat exchangers, piping systems. 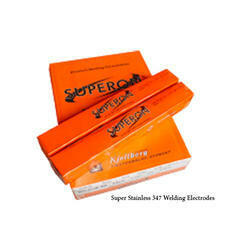 Looking for Superon SS Welding Electrodes ?